Almost nothing says a sunny day in March, April and May like a blooming Iris. Many botanical fans rank the iris family second only to the orchid family in terms of its diversity of showy, flowering plants. Close to two thousand types of iris species grow world wide, and most of those species grow in temperate areas. Gardeners in the United States enjoy planting many of these non-native species. When gardeners think iris, they think spring and fall flowering plants such as the colorful Bearded Iris, Crocus and Gladiolus. They’re not only popular garden flowers but also popular cut flowers and important economic ornamentals. Considering the fact that along with the native species, many non-native species such as the Montbretia and Spraxis grow in the wild without any care, the characterization of irises as easy to go seems to fit. Depending on genera, they grow from bulbs, rhizomes or corms. Once established in a garden, they reliably grow and flower from season to season. 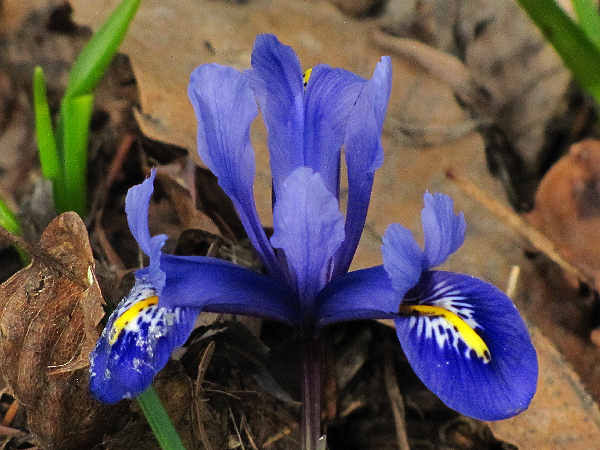 A quick look at the status of iris growing wild in North America also confirms the plant’s popularity. Over one half of the 16 genera with 92 species that grow it the wild are naturalized non-native plants. Gardeners have been planting irises so long that they actually changed the landscape of a continent. Native irises (genus iris) are probably the most easily recognized of the group because they resemble the commercially produced plants. The Blue Flag Iris pictured, grows throughout most of the Eastern United States. In addition to the standard iris look that gardeners can get by planting the genus iris flowers, native species such as Blue-eyed grass and even rare plants such as Bartram’s Ixia. 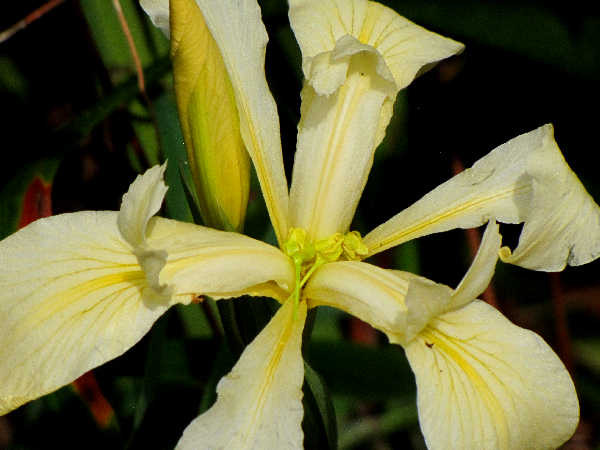 Approximately ten different species are Pacific Northwest natives, including the Yellowleaf Iris pictured above. 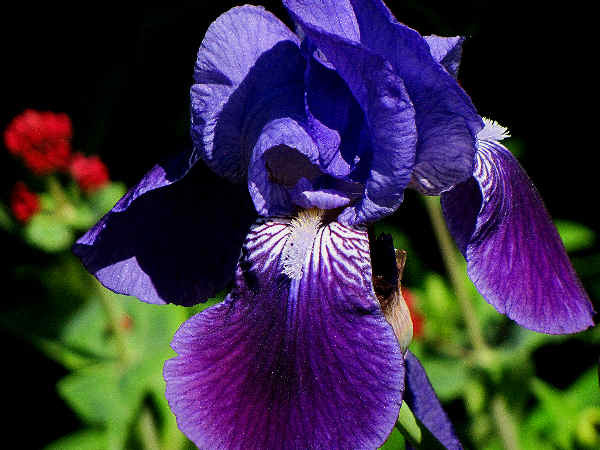 Mostly known for their beauty, irises are also very hardy plants, requiring little more than an area with partial sun. Otherwise, different species can be found growing in a variety of habitats from meadows to forests. 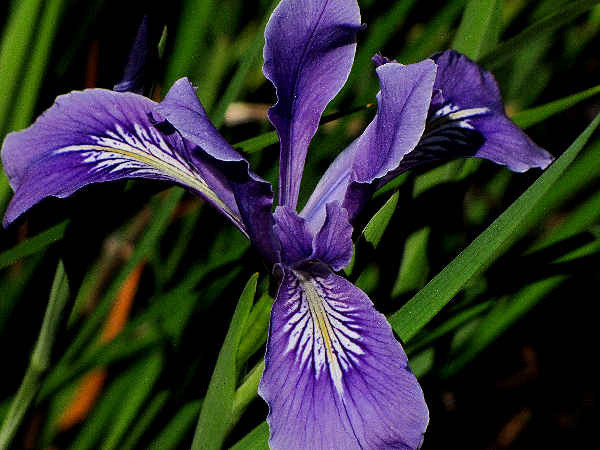 Despite their beauty, Irises also carry a caution label. Many, if not all species, are reported as having toxic roots that can cause problems when ingested by grazing livestock and pets. The Tough leaf or Oregon iris (Iris tenax), native to the Cascade region of Washington State and Oregon blooms with purple petals characteristic of many true irises. Medium in size, they nicely compliment the larger introduced bearded irises common in many gardens. Native irises also fit the bill for many gardeners with a preference for simple looking, grass-like flowering plants. Blue-eyed grass, for example, is the common name given to a genus (Sisyrinchium) of small flowering plants in the iris family. Species in the genus grow among grasses in wetland areas of meadows and fields throughout much of the United States. Their colorful petals stand out against their green background. 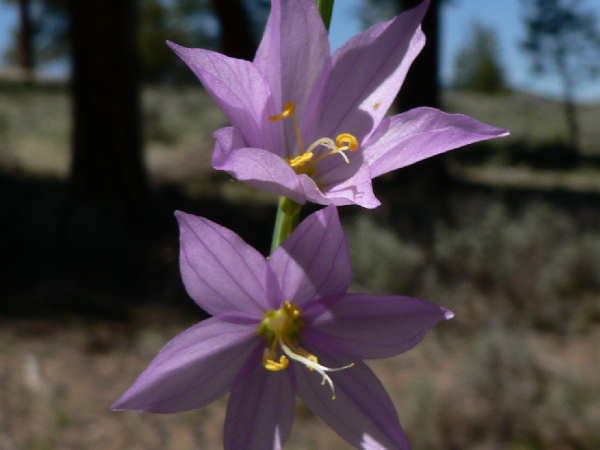 The Grass Widow (Olsynium douglasii), pictured, represents the entire North American Olsynium genus. Pink to purple petals rest on a slim stem with surrounding thin leaves. It grows in vernal areas, in open grassy areas of the Pacific Northwest. They can be propagated by seed and make a nice addition to a rock garden. The picture shows the flower enlarged by a factor of two. A few South African native irises grow well in other Mediterranean climates. 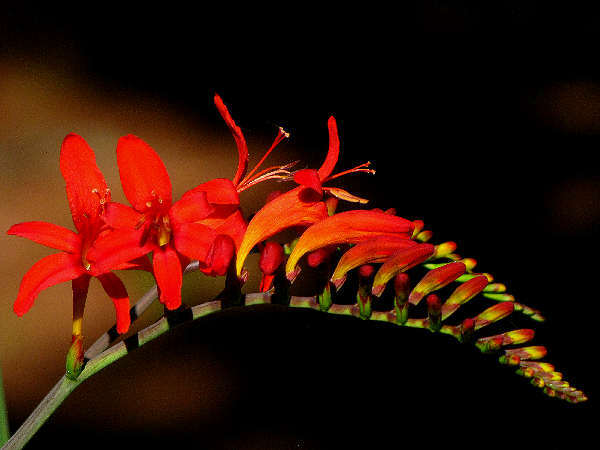 Crocosmia are popular in some garden circles. 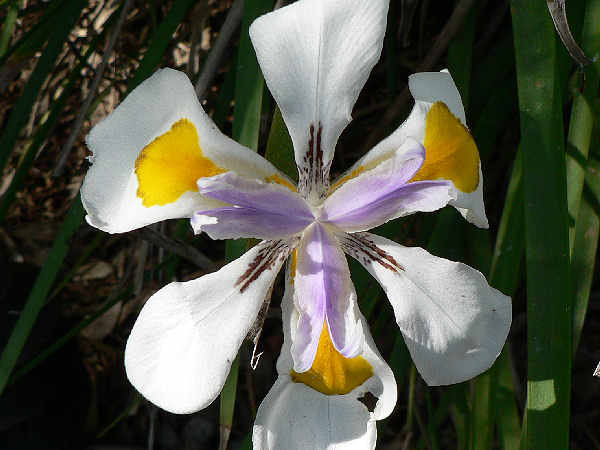 A South African Dietes species, Dietes grandiflora, also remains a popular Iris choice in many areas. While most irises are also bred for height and color, the Short stemmed Iris satisfies gardeners looking for a lower to the ground growing iris suited to a front row garden position.